View upcoming SAT® dates below, and choose the right SAT test date for you! To register for the SAT, visit College Board or call 866-756-7346. Students with learning differences should call 609-771-7137 for testing accommodations and requirements. Pick your test date, and try to get your SAT registration finished as soon as possible. Late registration accrues additional fees, and there's also a cutoff. Decide between the SAT and the SAT with Essay, which is optional. Some colleges require the SAT essay, so find out ahead of time. You'll also need to find out if you need to take SAT Subject Tests, which are also required by selective colleges. Registration can be completed online on the College Board website or by filling out the form provided in the Student Registration Booklet for the SAT and SAT Subject Tests and mailing it in. This booklet can be obtained from your school counselor. Be sure all your personal data matches the exact information on your photo ID. For identification purposes, upload a picture of yourself . Decide if you want to use the College Board’s Student Search Service, which is free but requires you to provide additional information about yourself. Based on the information you give, scholarship organizations and colleges can find you to give information on their programs. Remember that you'll be responsible for paying a registration fee, which is $46 for the SAT and $60 for the SAT with Essay. Fee waivers are available for those in low-income households. Once your registration is complete, be sure to print out your Admission Ticket, as you'll need it on the day of your test. The SAT can be taken any time starting your freshman year. However, most students take the test in the spring of their junior year. Doing so will give you enough time to take the test twice, which is highly recommended, as 67 percent of students improve their score the second time around. Once you receive your initial test results in your junior year, you'll know your weak points and can prepare to retake the test if you so choose. If you're not satisfied with your initial score, you can take the test for the second time in the fall of your senior year. For those serious about getting a superior score on the SAT, it's never too soon to start preparing. 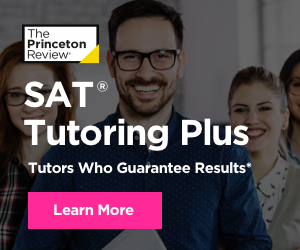 However, most students begin preparing for the SAT in the spring or summer before their junior year, as it gives them enough time to take the test, find their weak point from the first go-around and then take the SAT again in the fall of their senior year. The best way to prep for your SAT is through classroom learning and by taking courses that challenge you and help you build the knowledge you need to be successful on the test, in college and in your future career. 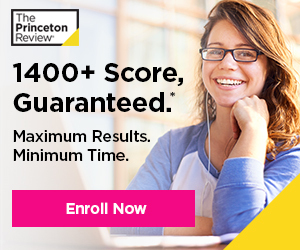 If you take a free practice test with The Princeton Review , we can provide you with a personalized score report that includes the areas where you're strong as well as areas that need improvement. We pride ourselves on providing you with problem sets with questions that most closely resemble what you'll find on the SAT. However, the best way to prep for the SAT is to enroll in our SAT Prep course , which has both online and in-person options. The day of your test, try not to worry about studying. Enjoy a hearty breakfast, and make sure you arrive at the test site early. In most cases, doors open at 7:45 a.m. and close at 8 a.m., and you won't be admitted once the test has begun. The test administrator will read all the instructions verbatim before you begin. They'll also tell you when you can start or stop working on each section. You must work on each section during the allotted time, and once it's complete, you cannot go back. You'll likely receive both a 10-minute and a five-minute break sometime during your test, which are the only times for eating and drinking. Once the test is complete, the administrator will collect and count all test booklets to ensure everything has been turned in before students are released.